Designed by James Dyson, English, born 1947. Made by Dyson Appliances, London. 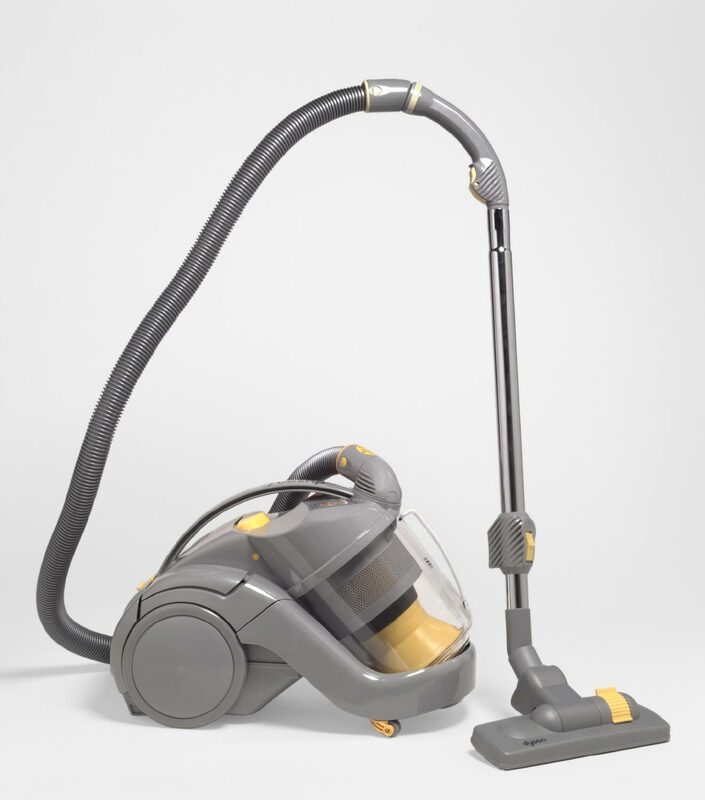 The "Dual Cyclone" vacuum cleaner is the result of the designer's frustration with the inefficiency of standard bag cleaners. This bagless system spins dust and dirt out of the main airstream and into the clear canister, allowing the machine to maintain one hundred percent suction all of the time. Its low, curving profile and large rear wheels make it especially convenient for cleaning stairs.